When we pick up a handful of soil, it is hard to imagine all the activity that is happening at a microscopic scale within it and the powerful impacts this has. The web of life in a healthy soil is a weird and wonderful world of interactions that scientists are only just beginning to understand. They know less about the ground under our feet than they do about the universe, and yet the soil is what humanity depends upon. While we wait for the science to catch up, it is essential that farming recognises and understands the crucial importance of soil biology, instead of solely focusing on its chemical and physical aspects. RegenAg UK takes soil health very seriously, running courses that give farmers a chance to get to know their soil better. Joel Williams recently inspired a group of farmers to explore the intricacies of soil life during the course he taught on soil health. Among all the different soil organisms, bacteria and fungi are especially important to consider for soil health, and particularly, arbuscular mycorrhizal fungi (AMF), which interact with 80% of plant species. AMF developed a symbiotic relationship with plant roots 460 million years ago. It has many important roles in the life of soil. It aids in the decomposition of organic matter, facilitates nutrient cycles and the storage of carbon, helps to build soil structure and protects the plant. 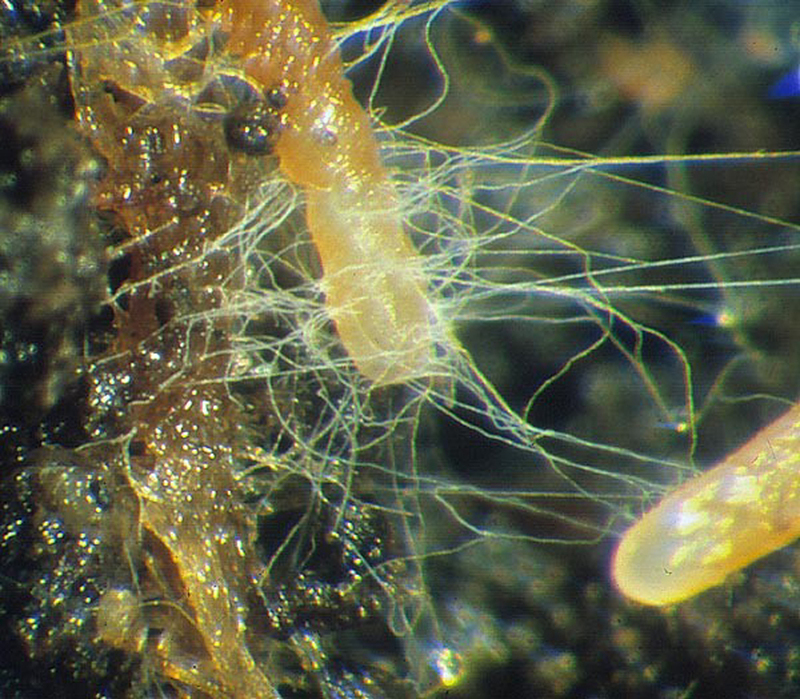 The networks of mycorrhizal strands, also referred to as mycelium, extends the capacity of the plant’s roots and connect plants to one another. Understanding the multiple benefits of this fungi, greatly helps to improve the productivity and health of soil. For example, Joel Williams explained, in grasslands a greater number of fungi in the soil increases grass health and reduces weed growth. Many agricultural practices such as inversion ploughing, the growing of monocultural crops and the use of chemical fertilisers, fungicides, herbicides and pesticides cause damage to mycorrhizal fungi. As a result, much of our agricultural soil is impoverished, with low levels of fungi, and cannot benefit from the full range of services they offer to crops. In RegenAg’s course, Joel Williams detailed how to farm in order to improve mycorrhizal fungi and build soil health. When a farmer wants to improve plant growth, they need to understand the nutrient content of their soil. The average soil test usually only identifies the soluble nutrients that are readily available to the plants in the short term. But beyond these soluble nutrients, there is a huge natural resource of other untapped nutrients in the soil. The trick is finding ways to make them available to the plants, and mycorrhizal fungi as well as other microorganisms can do this. 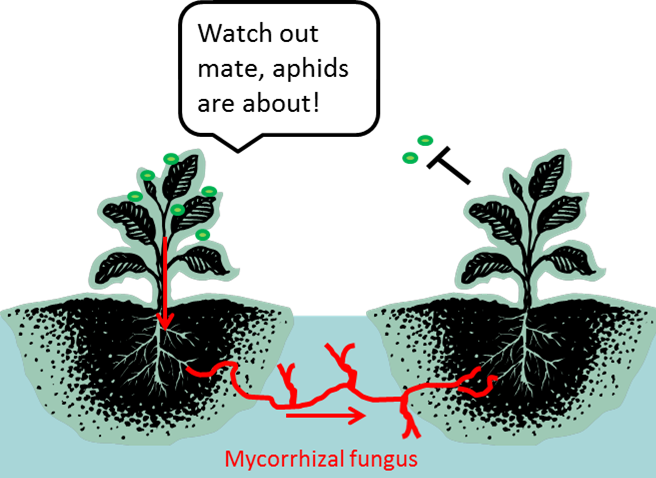 For example, mycorrhizal fungi help plants to access soil reserves of phosphorous beyond the root zone. Mycorrhizal fungi also assist with accessing macro-nutrients such as calcium, magnesium, potassium and nitrogen, as well as micro-nutrients such as zinc, copper and iron. If one or more nutrients are deficient in soil, farmers usually add chemical versions of these nutrients to boost plant growth. However, Williams commented, this upsets the fragile soil ecosystem and inhibits the plant’s potential to make the most of the large store of nutrients already in the soil. “Mycorrhizal fungi are incredible organisms, but they are also very sensitive, they don’t like excess moisture, they don’t like excess nutrients and of course they don’t like pesticides,” says Williams. Plants grown as crops are susceptible to all manner of pests and diseases. Joel Williams commented that when pesticides are used, the plants are effectively placed in a protective ‘bubble’ where they cannot develop their own natural immunity, “the rich suite of biological compounds that the plant would have naturally synthesised in order to protect itself will not be produced.” As a result, the plants themselves are weak and continually need more external chemical inputs to combat pests and diseases, causing damage to soil biology and ecosystems. Williams argues that scientific research should be focused on tapping into the natural disease and pest protection that the soil offers. Expensive research into genetically modified varieties may lead to yet more problems for farmers as their resistance to pests and diseases are shown to be short-lived. According to Williams this is clearly not where our tax funded research should be directed if we want to move to more sustainable agricultural systems. Mycorrhizal fungi help plants to combat disease in several ways, such as by colonising the plant’s roots and penetrating the root cells with their branching structures, excluding and protecting the roots from pathogens. Mycorrhizal fungi also release several antibiotic substances into their mycorrhizospheres. An experiment was done which showed that mycorrhizal fungi connect plants through their underground network in the soil and allow them to ‘communicate’ with each other and warn about diseases. Two tomato plants growing near each other were isolated from each other’s airspace. A blight was introduced to one of these, which caused several defence genes in the other tomato plant to be activated. This communication between plants along the mycorrhizal network can greatly boost plant immunity by helping neighbouring plants prepare to defend themselves. Mycorrhizal fungi are also essential in helping plants to tolerate drought. The hyphae access moisture in soil micro-pores that roots are not able to access themselves. The symbiotic relationship between the plant and mycorrhizal fungi also improves plant hydration by activating specific cells in the plant that improve water uptake and transportation. At the same time, biochemical compounds are produced that allow plants to maintain high organ hydration and sustain overall physiological activity in the cell such as photosynthesis, in times of drought. According to Patrick Holden, CEO of the Sustainable Food Trust, “We are locked into a cycle of ever-increasing industrial farming based on a chemical mindset and reductionist approach and we need to break free of it.” Instead we must work to restore the natural biology of the soil and utilise the valuable ways that bacteria and fungi can help us to create food systems that perpetuate health in soil, plants and humans. The extraordinary capacities of mycorrhizal fungi, just one out of tens of thousands of tiny soil organisms, hints at just how important it is to farm in ways that enhance soil biology. Emboldened with inspiration and know-how, more and more farmers are beginning to implement methods that increase soil health.